Life hack is defined by Oxford Dictionaries as: “A strategy or technique adopted in order to manage one’s time and daily activities in a more efficient way.” Life hacks can help save you both time and money, and some are so easy you’ll ask yourself why you hadn’t already thought of them. Inventive but straightforward life-hacks include turning your toaster sideways to make a grilled cheese sandwich, utilizing the sticky part of sticky notes to clean in between the individual keys of a keyboard, and using duct tape to open jars. Life-hacks can even pertain to the human body: some examples include scratching your ear to relieve an itch in your throat, lying on your left side to soothe acid reflux, and forcing your tongue flat against the roof of your mouth to alleviate brain freeze from ice cream. But what about our hearing? Are there any life-hacks we can apply to allow us to hear better or with less effort? It turns out that there are several—here are our selections for the best 7. You can rapidly check for hearing loss with one of the several apps accessible online, or by taking the online hearing test on our website. If the final results reveal hearing loss, you can subsequently schedule a professional hearing test with your local hearing care provider. Studies suggest that employing white noise can help you to sleep better as it helps to create a bedtime habit, keeps the room calm, and helps “power down” your lively brain. Prolonged and repeated subjection to any sound higher than 85 decibels can induce irreparable hearing loss (rock concerts can achieve over 100 decibels). Wearing custom earplugs is a simple way to prevent hearing injury, and the latest earplugs can safeguard sound quality while limiting volume. Contact your local hearing care provider for more information. This law of physics could save your hearing. The inverse square law specifies that as you double the distance from the source of sound the intensity of the sound declines by 75 percent. So, in lieu of standing front row at a rock concert, increase your distance from the loudspeakers as much as you can (while retaining a good view). If you listen to a portable mp3 music player with headphones, maintain the volume at 60 percent of the maximum volume for not more than 60 minutes per day to avoid hearing loss. A study executed over the course of six years by researchers at UCLA and the University of Arizona found that the right ear is better designed for speech and the left ear for music. 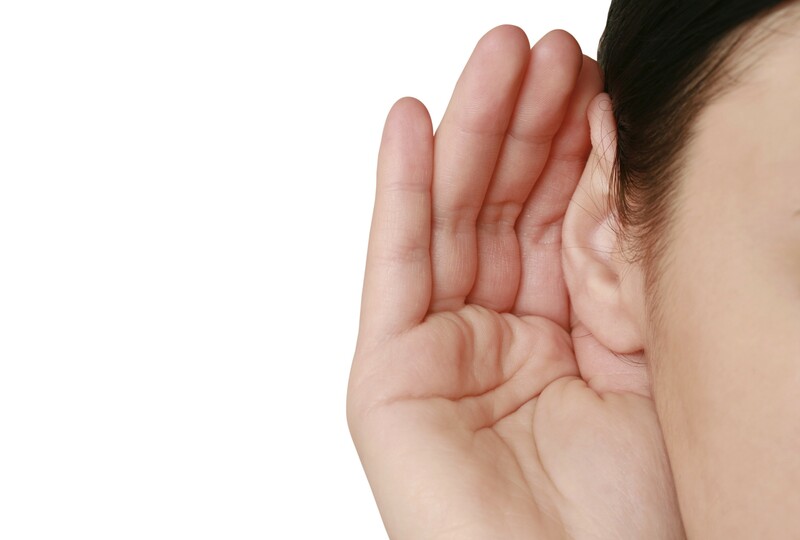 So the next time you’re having trouble hearing a conversation, turn your right ear toward the speaker. Wearing hearing aids is probably not considered a life-hack, but it is the only way to appropriately improve hearing in the presence of hearing loss—and the things you can accomplish with modern day hearing aids are truly remarkable. As an example, a number of hearing aids are wireless and can be operated with mobile phones or digital watches. That means the user can discreetly fine-tune volume and settings for each environment—in essence, the user can literally control the sound environment. We can’t come up with any other life-hack cooler or more helpful than that. What did we miss? What are your preferred life-hacks (health-related or in general)?